I have bought my AE using BTC while taking part in ICO. Now I can’t find my AE. https://wallet.aeternity.com isn’t working this days. How to find my ERC20 address where my AE was send after ICO? I know my BTC address used in ICO. It is possible I didn’t withdrawn it after ICO sale but I’m not sure. Is it possible to get from AE Team info where my AE were send, using as identifier my BTC ICO sale address? Your ERC-20 tokens have been sent to an ETH address. Do you remember whether you kept them in an exchange or in a wallet? After more research I found that I sent BTC to https://wallet.aeternity.com (ICO) and never withdraw it. 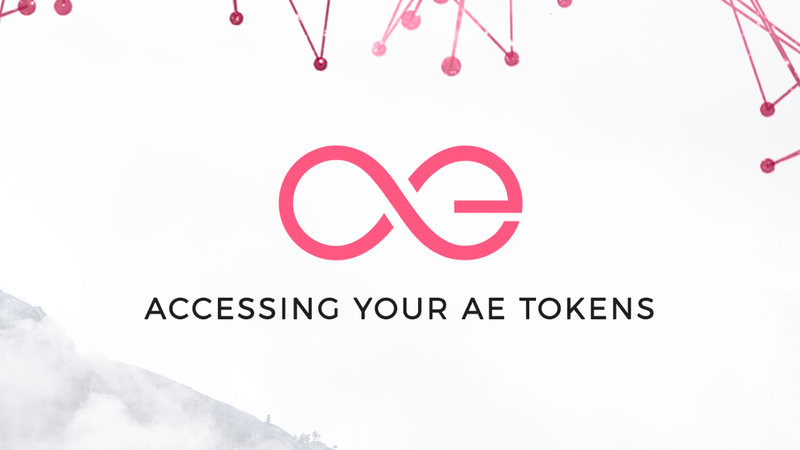 Follow this guide in order to access your AE tokens. I thought I did it before but no, it was all the time on my ICO wallet and now I created eth pair for it. Thanks for your time! Best.